However, there is no “mixed blessing” in being cut by a real double-edged sword, which is designed to inflict as much damage as possible with a single thrust (two fatal cuts for the price of one). Nor is a double-edged sword supposed to affect both parties equally. In a stabbing transaction, the person at the pointy end of a two-edged sword feels the full effects of both cuts. To have backbone is to stand up for your principles, regardless of threats or lack of support from others. It is to be straight and rigid when others are bending before the wind of prevailing opinion. 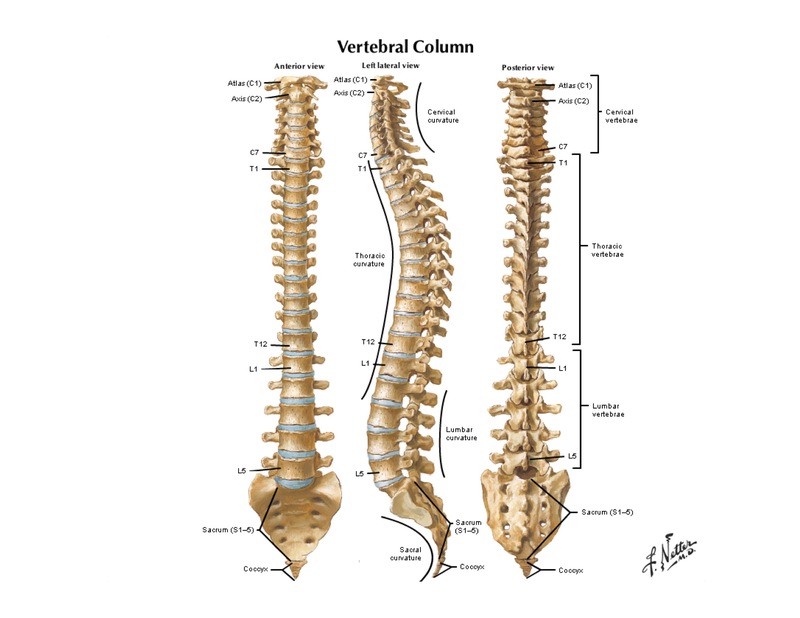 However, there is nothing straight or rigid in the anatomy of a real backbone. Its interlocking toggle-toy construction is for flexing. So far from being straight, the spinal column undulates through four major curves. When people talk about backbone, they are wishing for the moral complexities of life and politics to be resolved in a form that is simple, clear, and strong. What they want, osteologically, is more like a femur than a backbone. Technical note: “Backbone” in this sense is figurative language but not a metaphor since it does not involve a comparison. It is closer to a synecdoche (sin EK duh key), or an image that uses a part to stand for the whole. For example, in “Achilles led a thousand spears into battle,” spear stands for a fully equipped infantryman.